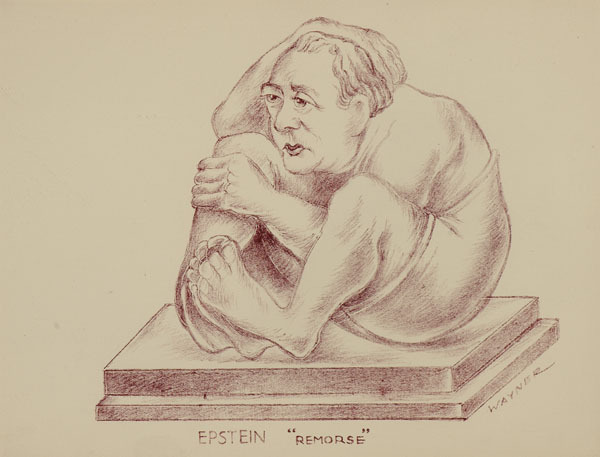 Kramer had sat to sculptor Jacob Epstein for his bust in 1921, and Kramer's lithograph of Epstein is a reciprocal likeness. The two men had met shortly after Epstein's arrival in England and formed a lasting friendship. Kramer said of Epstein, 'If I couldn't be myself at all, I should want to be Epstein - for his bigness and fearlessness of thought. 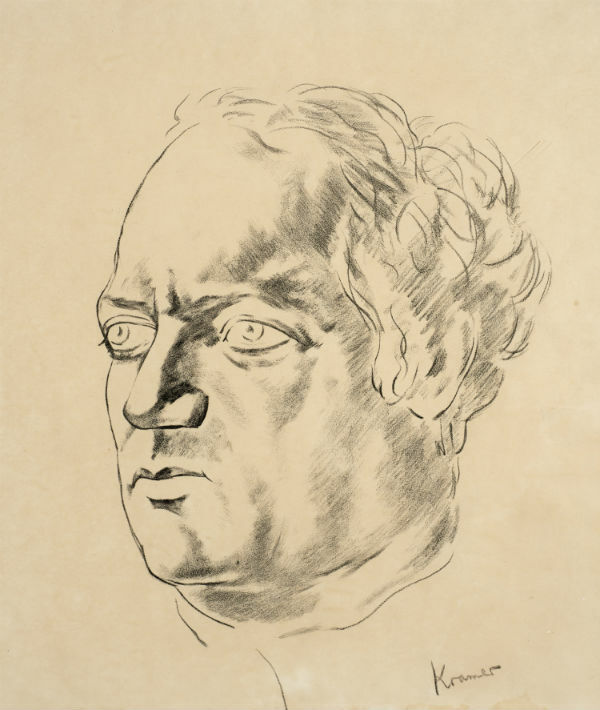 No matter what happens to him, or his work, he remains himself [...] The man is greater than his work. I'd like to be greater than my work so that my work would be all the greater'. (Yorkshire Post, 7.11.1931). 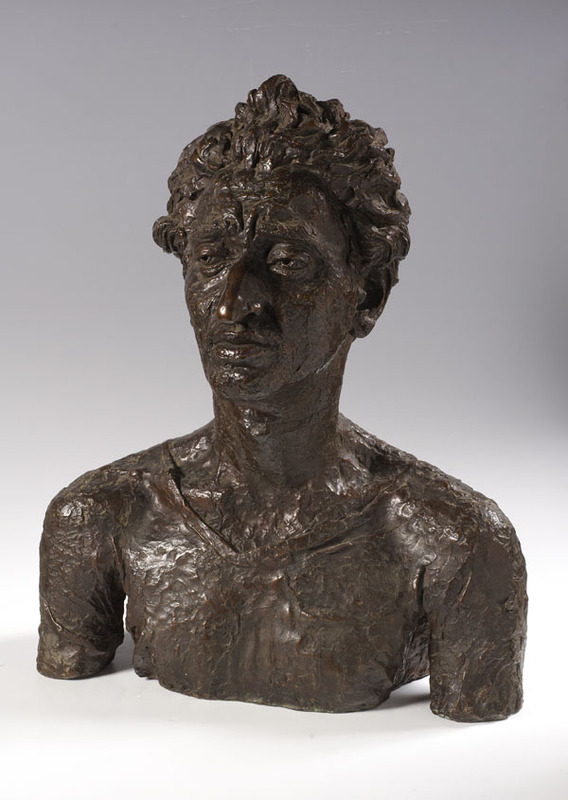 Jacob Kramer reassessed (London: Ben Uri Gallery, 1984).